I love this recipe for recipe Wednesday! And there is nothing more Southerner than a cup of ice cold Cheerwine. Don’t know what Cheerwine is? The beverage is a cherry soft-drink, founded in North Carolina. Trust me, it is a must-try! 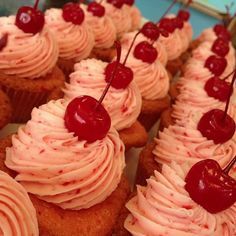 This entry was posted in Uncategorized and tagged cheerwine, cupcakes, food, food network, great american country, huffington post, north carolina, soft drink, south, southern, travel, travel channel, visit north carolina by METAYLOR. Bookmark the permalink.